Facebook at Work, an enterprise version of the social network, is designed specifically for colleagues in organizations to communicate; which has been in closed beta since January, but now opened up for businesses that want to connect employees securely. Albeit, the company has been tinkering with Facebook at Work internally for years, it surfaced that the office tool is for external organization only recently. The service is rather a basic, but more secure version of Facebook to be employed on an enterprise network, whereby employees can follow/friend each other to get updates posted by each user. Now, with more than 300 organizations signed up for Facebook at Work as part of the beta, Facebook though intending to make a little money from the new product has maintained that businesses will start with the free version and only pay for extra features or analytical services. However, it’s unclear at the moment the number of employees, for instance, that a company is allowed on-board with the service, or if they’ll be charged extra to create a large number of groups. 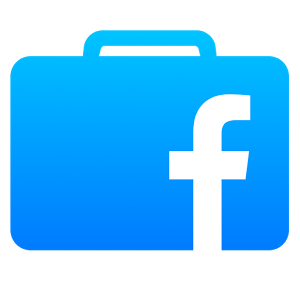 Facebook at Work has a standalone app for iOS and Android, while on the desktop, users are able to toggle between their professional and personal Facebook accounts. What you need to know about Facebook at Work?